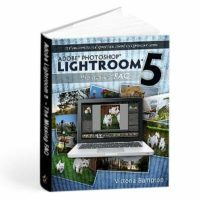 When you have a Lightroom question, where do you look? Do you trawl through thousands of web pages looking for the information you need? Perhaps post on a forum and wait for someone to reply? Maybe try to figure out the Help files? From now on, you look right here! 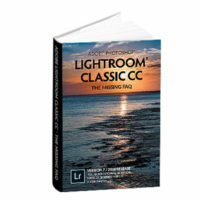 This is the reference book that should have shipped with Lightroom. How’s the book laid out? It’s a book of questions and answers – questions asked by real Lightroom users on a variety of online forums. You can read it cover-to-cover, or you skip around and use it as a reference book. As a searchable eBook format, you can use the bookmarks or search facility to easily find the answers to your questions. 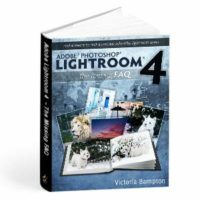 Whether you’re a new user who likes to dive straight into new software and figure it out as you go along, a more experienced user wanting to learn how to get the best out of Lightroom, or you’ve just got a burning question you’d like answered, this book is for you. There are questions ranging from simple ones like how to import photos, to much more in-depth details about how the previews are used and how to create your own camera profiles. Check the Table of Contents to see the full list of questions covered in this release. These are real-world answers to real questions asked by real Lightroom users. It not only covers how to do things, but also why they work the way they do. Lightroom may have a mind of its own… but now you can learn how it thinks. 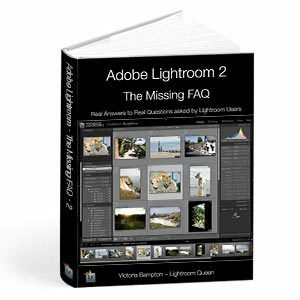 The Adobe Lightroom – The Missing FAQ books were originally intended to be searchable PDFs, however once they were released to the public, a demand arose for a paperback version too. 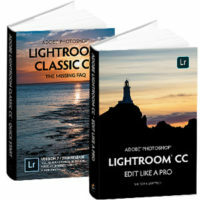 While many books have a PDF supplement, this book is the other way round – the color PDF eBook is designed to be the primary book, and the black & white paperback is the supplement.